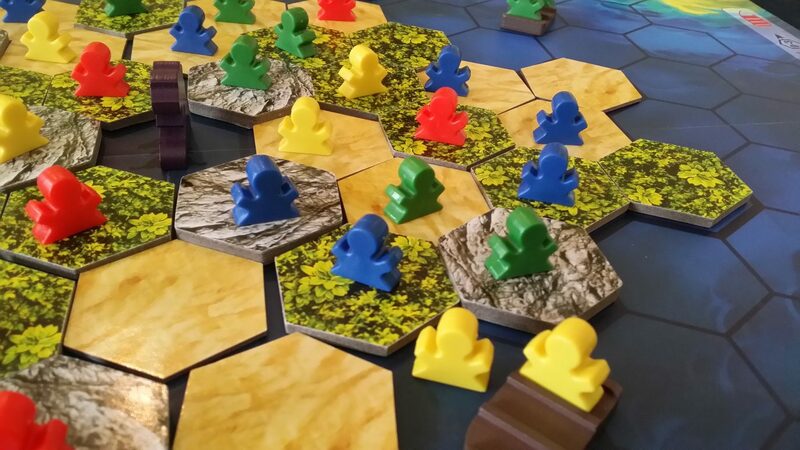 One year ago today, I decided it was time to start a blog on board-game accessibility. I didn’t really think that was a thing anyone might find interesting – I just thought it was a thing I would enjoy writing. I’d been gradually getting into board-games for years – starting as a casual viewer of shows like Tabletop and gradually migrating into someone that owned and played these remarkable artefacts. As I went deeper into this cardboard rabbit hole I began to muse on the nature of play in embodied, tactile environments. As an accessibility researcher, I was intrigued by what I might discover with a systemic investigation into tabletop interaction. I expected it to be something that maybe a handful of researchers might read a couple of times and say ‘Oh, that’s kind of interesting I suppose’. I had no expectations that it would be more than that. As of our first full year of operation, we’ve passed 105,000 hits and over 50,000 visitors. We’ve written, although not necessarily published, eighty reviews and teardowns. I’ll be honest – I thought I’d probably tire of the site after a dozen or so games had been covered. It turns out though that this subject is so much richer, and so much more interesting, than I had really appreciated at the time. Meeple Like Us isn’t just a blog – it’s an ongoing love letter to the endless variety to be found in tabletop games. Now that it’s our birthday, I wanted to reflect a little on what kind of year it’s been. 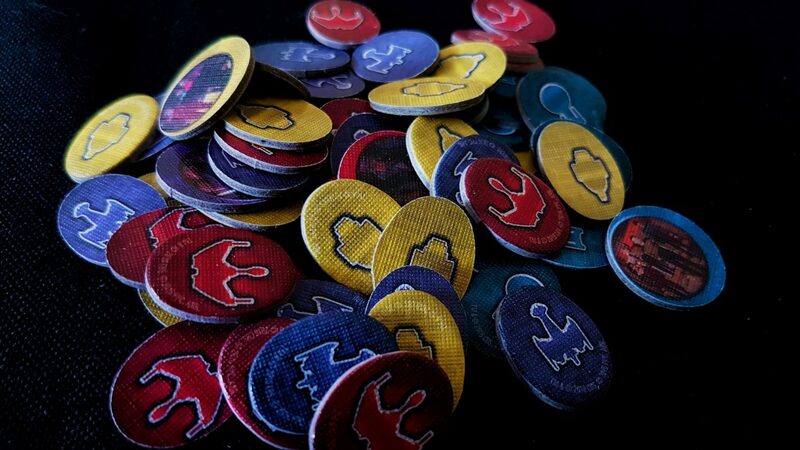 Also, if you’re interested – I mean, no reason to assume you are, but if you were interested we’re doing a giveaway over the coming month in celebration of a year of Meeple Centred Design. I suppose your interest there depends on how much you like having a shot at free money. These figures derive from the work done to date rather than the work published. We have a healthy buffer of content that’s been written ahead of publication – eighteen of them in the bank at the moment, which ensures that as real-life obligations ebb and flow our schedule isn’t interrupted. It’s a pain in the backside to extract published from unpublished statistics though, and in the end it’s better to see the full data. If anyone is interested in the unabridged spreadsheet I have (rather than the masterlist which holds published games without stats) let me know. For calculating averages for accessibility profiles, I employ a numerical conversion from alphanumeric grades to number values. F is a zero, E is a three, and each successively higher grade is one integer greater than the one before. For individual accessibility categories, this is how the averages come out. It’s important to note here though that the grades assigned to each of these categories represents a recommendation – the teardown text is usually far more nuanced than can be collapsed into a single value. As such, this shows a somewhat distorted perspective of the true state of play. For example, cognitive accessibility skews high because we also consider potential accessible variants in that section. Physical accessibility skews high because we don’t just discuss the direct nature of play, but also whether it’s possible for someone with impairments to enjoy the game via verbal instructions. Visual accessibility skews high because we discuss but don’t necessarily evaluate based on there being some degree of visual discrimination. If we rated based on total blindness, we’d have many more absolute failures across the games we’ve covered. Colour blindness takes into account opportunities to replace game components with custom identifiers. The values here then reflect whether or not games are playable, sometimes with compensation. They don’t necessarily reflect how accessible the games are out of the box if you don’t adjust to the circumstances. The average aggregate recommendation for any game in our first year of operation is a C+. That average by itself is skewed by the fact that the communication grade hauls up the average – most games don’t have a formal need for communication at all so they tend to score disproportionately highly here. Board-gaming, as a hobby for those with accessibility requirements, gets a tentative recommendation. My personal feel is that board gaming as an industry is much closer to a D – games are often accidentally accessible if they are accessible at all, and a lot of burden is put on players to fix the problems introduced by publishers and designers. There are great games available for everyone, but not all great games work for everyone. There’s a lot of room for improvement. I’ll point out some especially distinctive games here for comparison. Three games managed to achieve an overall A- grade for accessibility. None went higher than that. The three games are Lanterns, Skull, and Love Letter. Consider all three of these to be winners of the Meeple Like Us Accessibility Award of 2017. If we had a medal, it would go to them. We don’t though, so it’s an award of dubious value. There are plenty of honourable mentions too – among them CV, Forbidden Island, Jaipur, Lost Cities: The Board Game, Patchwork, Splendor, Sushi Go and Tsuro (not yet published). Each of these managed an aggregated B+ grade. The worst performing games from an accessibility perspective were Blood Bowl, Lords of Vegas, Merchants and Marauders, and Tales of the Arabian Nights. All of these managed a relatively dismal D+ – but even that shows that the worst performing games have some redeeming features. There is no game that failed outright in the aggregate grade. The worst performing game in the cohort is Star Trek: Frontiers which achieves a D without the plus. If we had an award for ‘accessibility blunder of the year’ you know who would get it. There are many accessibility own-goals in that title that earned it this dubious honour. A year of operation to cover 80 games gives a fair indication of the scale of the task. It was never our intention to cover the entire BGG catalogue, so we have a more realistic goal – to cover a meaningful proportion of the top 500. 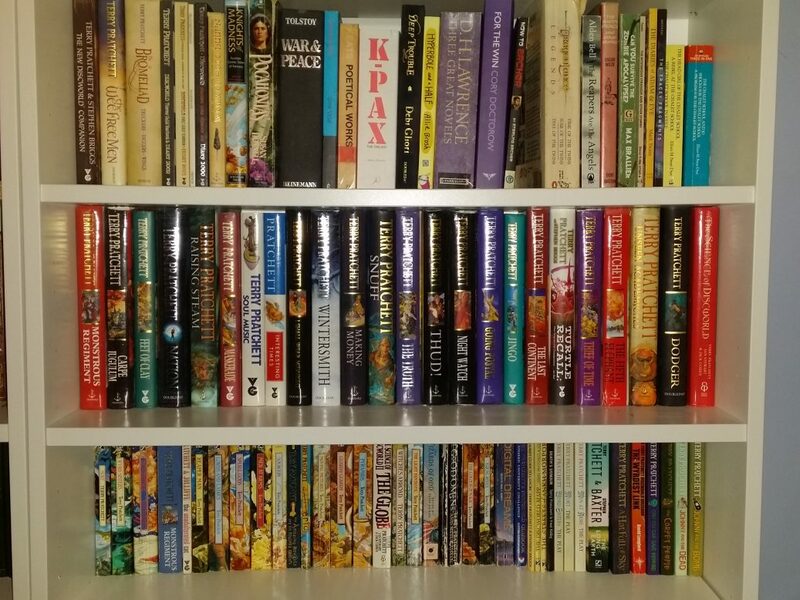 Of the games at which we’ve looked, 59 of them are to be found there – one year has given us a coverage of a little bit under 12% of the collection. It’s not that I think the BGG top 500 is a particularly accurate or worthwhile listing, but rather it’s as good a place as any to direct attention. It’s largely accidental we’ve focused ourselves there in our first year of operation, but it will be more intentional going forward. We’ll still definitely look at games outside of this when they are of special interest, but generally if a game isn’t at least in the top 1000 we’re probably not going to get to it unless someone makes a special request or unless it’s already on my shelves. To be fair, that still allow an awful lot of games to make their way into the blog. I’m hoping at some point production of posts can step up too – all of the teardowns to date have been written by me, with others weighing in on other elements of the site or offering views during play and discussion. I’d like to offer a few more authorial voices over the coming year although given the specific skill-set required to analyse a game for the site it’s not possible to arrange this very easily. Still, I think this is a project that has potential for genuine real world impact, and I’m hoping in months to come to parlay that into some formal academic support via a research council. That, should it happen, will notably accelerate the ambition of our endeavors. The problem with starting a new board-game blog though isn’t just the number of games out there, it’s how well older games hold their relevance. If I started up a video game blog, it would be pretty zany to begin by talking about Manic Miner. If I focus on CRPGs people would be expecting coverage of Torment: Tides of Numenera. Nobody would be looking for coverage of the SSI Gold Box AD&D games. Usually, that is. Video games are ever focused on the new – games that are older are largely valueless from the perspective of coverage beyond occasional popular critique, personal obsession and academic discourse. You focus on the new because that’s where the views are. Board-games too have a strong cult of the new, and most review sites tend to focus on that which is just released – after all, it’s not like we’re short of viewpoints of Dominion if you’re interested. However, board games never lose their applicability. Catan, although we haven’t (yet) covered it on the site is still hugely relevant. Twilight Struggle is over ten years old and is still #3 on the BGG rankings. Sherlock Holmes: Consulting Detective was first published in 1981. The original version of Tales of the Arabian Nights is from 1985. Survive: Escape from Atlantis is from 1986. Sure, there are new editions and the like to keep them current but in terms of the core game experience they are substantively unchanged. The result of this is that every single week the scale of the task gets larger. The older games didn’t become less valuable as artefacts of play. Their audiences didn’t go away. With video games you operate in a temporal window where the distant past has little value other than the quixotic. That’s not true here. The average score of games on Meeple Like Is us a touch over three and a half stars. 3.51 stars, in fact. That’s not surprising because Meeple Like Us is financially supported only by my own wallet, and there is a selection bias at play. Rarely do I buy games that I think I won’t like. I have done it on occasion for titles that suggest they’re likely to be an interesting topic for the blog – by and large though, I buy the games I want to play. It’s inevitable then the games would skew high – 3.5 stars is what I consider to be a ‘good’ game, and that’s the baseline for what most of our reviews have said. I suspect if that average was notably lower the blog wouldn’t have been nearly as much fun to operate. As to the reviews, I’ve always considered them a secondary resource. Enjoyment is so subjective that at best all I can offer is an (occasionally contrarian) data point in a wider community of reviewers. I’m pleased to see Dice Critic emerge as an aggregation service for that – I find the plurality of views more interesting than any individual perspective. As with the accessibility grades, I think you lose a huge amount of nuance when you collapse a complex set of opinions down into a single number. I’ve solicited many views on this as to whether we should abandon the star system. Opinions are extremely varied. It’s interesting to me though that one of the first things several people have asked is ‘Do you have an ordered list of games by rating’, which suggests that even if the stars aren’t very accurate they are at least somewhat useful. I don’t know. I have extremely mixed feelings. They’ll stay for the moment, but I’m not a great enthusiast for numerical ratings. Really though the reviews aren’t there to offer consumer guidance – not entirely. They’re there to make sure there is appropriate context for the teardown that follows. Often in the teardowns I talk about how particular game elements influence accessibility. I occasionally talk about mismatch between design and intention and how that makes a difference. I do like that there are people that come to the site just for the reviews of course – it means that Meeple Like Us doesn’t need to be a niche site for gamers with disabilities alone. It’s just that our focus means the reviews are there to ensure a particular continuity of analysis. Any benefit they have in terms of guiding people towards great games is just gravy on top. The two most notables games over the past year in terms of my sheer love for them are Concordia, which is my absolute favourite game we’ve discussed on the site, and Jaipur. Both of them got a 4.5 rating, which is as high as we’ve gone to date. They’re both truly excellent games, and while Concordia managed only a C+ average for its accessibility, Jaipur accomplished a B+. 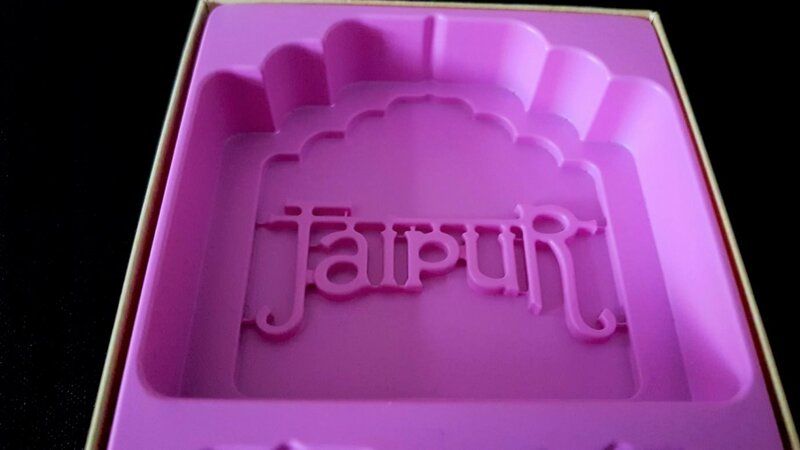 As such, if there was an overall winner for ‘Best accessible game’, that would be Jaipur. Maybe we should indeed get medals made up. I seem to be giving out a lot of imaginary awards here. In terms of general readership I have been immensely happy with how helpful people have been in assisting to get the word out. Whenever Meeple Like Us is mentioned in a Reddit or BGG thread as a resource for people with disabilities it is a massive help for the project. When people share our content on Reddit, they do more than drive a traffic spike our way – they increase the pool of people that know we’re out there. A handful of kind souls over the past few months have been posting our content on Reddit. I don’t check the comment threads there since there’s a hefty psychic tax to pay for reading anything Reddit has to say about the work you do. I am eternally grateful though to those that are ensuring our work continues to find its intended audience. Thank you all! I’ve had only limited contact though with designers, game media, and publishers– those who I’ve had discussions with have been overall extremely positive about the project. There is a real appetite there among some people to make more accessible games. However, it’s important to note that by and large that these teardowns mostly go by without comment from publishers. As of the time of writing, my view from our six month update continues to hold true: this is not a topic with which the industry or game media seems particularly interested in engaging. There’s been a little press coverage (our most recent exposure there was a very nice shout out in the Guardian), a fair bit of Reddit discussion, and some promising exchanges with a few individuals scattered around the industry. I receive supportive tweets from some companies, and more meaningful discussions with others. This though remains the exception rather than the rule. However, we’re still a very young blog – a mere one year old. I believe that as we continue with this project we’ll find that sheer persistence will chip away at this looming block of indifference. 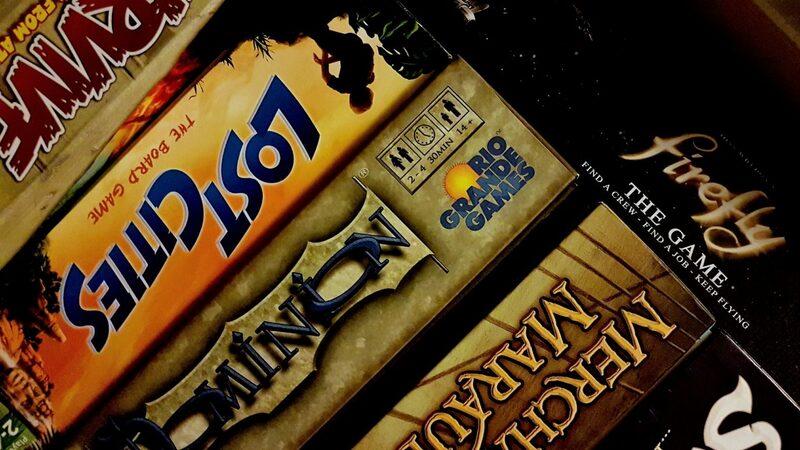 Board-games, despite being a much older form of entertainment than video games, are still stuck approximately fifteen years behind where digital games are with accessibility. Continued, ceaseless advocacy is the only way to really change that. Over the coming year, that’s also going to mean more direct contact with publishers to try and jumpstart the conversation. Being such a young blog I haven’t been trying to get access to review copies or the like of games (except once, which was met with absolute stony silence) but I’ll probably be banging on some inboxes in the future even if it’s only to remind people we’re paying attention to the accessibility of the games being published. After all, as Terry Pratchett wrote ‘It’s not worth doing something unless someone, somewhere, would much rather you weren’t doing it’. I’ve been asked a few times about how people can actually support the site. We don’t run Kickstarter campaigns, or have a Patreon account. That’s not going to change for the foreseeable future. It does cost a fair bit of money to run the site (hosting, advertising, our CDN network and such) and buy the games, but we’re set for at least the coming year in that respect. I do appreciate offers of support, but by far the most effective way that can be given at the moment is also the cheapest – your signal boosting on Reddit and other platforms is genuinely invaluable to us. Share our posts with your social media friends. Let your local retailers know we’re available as a resource. Just tell people we’re around. That kind of support is truly valuable, and I can’t thank people enough for the impact this has. It might be worth though discussing a bit as to why we’re not soliciting financial donations to support the site. The motivations here might seem a little strange, but it’s all bound up into what I think of the ethical responsibility of a publicly-funded academic. While I’m not paid to do Meeple Like Us, and I receive no direct support from my employer to do so, I consider this to be a fulfilment of a moral obligation. Too much research is locked away in the ivory tower of academia – it’s behind journal paywalls, or written in such dense and unwelcoming academese that the audience is only other academics. Meeple Like Us is the public facing output of a research project I intend taking forward into a bid for a research grant (underway) and the publication of formal papers (written but not yet submitted). I could just do all this, get the publications, and then never think about the topic again. I am of the belief though that this content is valuable to more than an academic audience. It offers a lens on the hobby that everyone can find interesting I hope, but more importantly it offers actionable, albeit imperfect, guidance to people that are currently largely forgotten in media discourse about tabletop gaming. It is offered then as a public good. I am in a sufficiently comfortable position financially that I can bear the monetary burden of running the site without any real concern – I get my money’s worth in terms of increased reach of the research and the warm glow that comes with knowing people are being helped by the site. That’s not to say that at some time in the future I won’t relent and open up a Patreon account. It’s just definitely not going to be this coming year. Seriously, thank you all for the engagement over the past year. This began as a momentary whim. I never thought it would morph into something that is growing into a community resource. My most successful academic paper to date has 23 citations (some of which are mine) and around ~25,000 downloads. It was published four years ago. Our Love Letter accessibility teardown got almost a good portion of that number of hits in a single weekend of Reddit. While this site probably would still exist if you weren’t out there, it certainly wouldn’t be an iota of the enduring addiction it has become for me. To everyone I chat with on Twitter, to everyone I’ve discussed the topic with on BGG, and even those I’ve argued with on Reddit – thank you. I won’t mention anyone by name because there are too many, but you all know who you are. It’s been a very memorable year – here’s to many more. Congratulations on your amazingly successful year! It is a shame to hear about theverything sense of indifference you feel from the industry. I’m not surprised about publishers, most companies remain fairly indifferent to smaller blogs (I should know) and your examination of accessibility inevitably puts them under a unique kind of criticism. Its great for consumers but sounds less positive for them! But I think you can draw hope from the push for better representation of women and minorities in board gaming over the last few years. That similarly faced a great deal of indifference from the industry (and in some places still does) but you are at last reaching the point where you can see major publishers actively trying to improve (my go to example here would be the new edition of Citadels). Hopefully raising awareness of accessibility issues will eventually prove as successful! Keep up the good work! I understand entirely publishers being uneasy about the project – as you say, nobody likes being graded against critera they maybe didn’t realise were on the test. Ten years ago, video game accessibility was in roughly the same state as board game accessibility – ‘not economically viable’, ‘only impacts a tiny percent of our audience’, ‘not enough bang for our buck’. Now it’s very much pushing at an open door for a lot of game developers. Given enough time, board-gaming will get there too. It’s likely to be a long, hard slog but knowing it’s been done before in another related field gives some hope. As you say, the improvement (small as it may be) in diversity is a sign the industry *can* be changed.